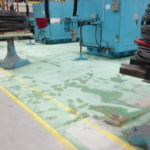 Northern's polymer floor systems are ideal for use in restoring old and worn concrete or as a protective overlay to withstand heavy industrial traffic such as forklifts. Today’s quality manufacturing environment requires a clean, well-lit facility. 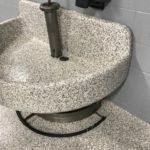 Choosing one of Northern’s many epoxy or urethane floor systems can accomplish both of these at once. 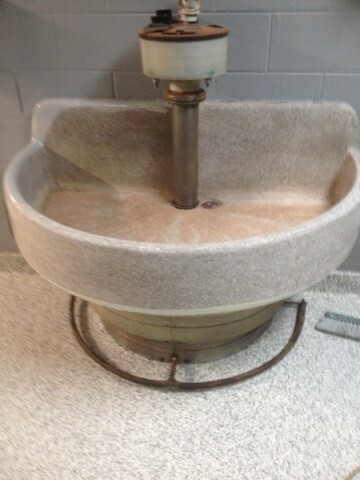 Old worn concrete can be resurfaced to a new, smooth, shiny sheen. 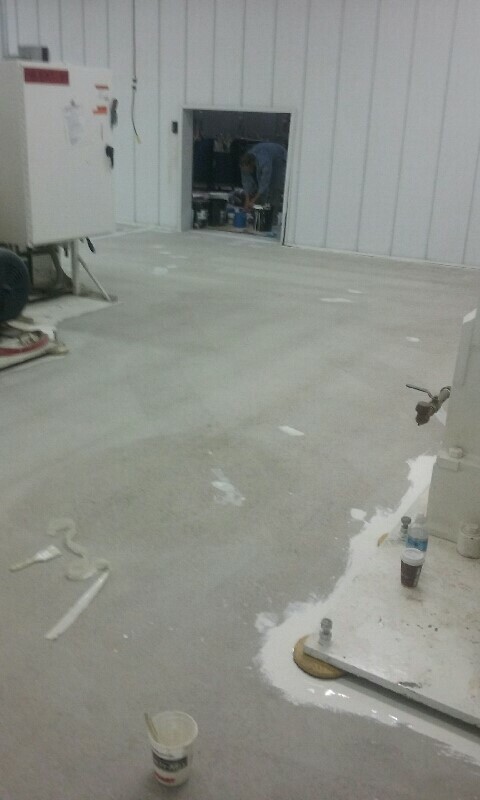 New floors can be dust proofed and protected for years to come. 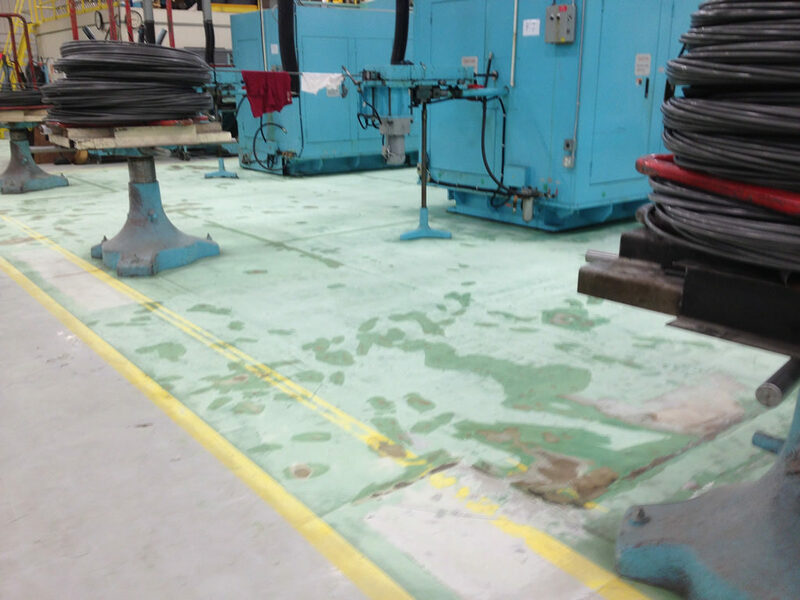 Northern’s polymer floor systems are ideal for use in restoring old and worn concrete or as a protective overlay to withstand heavy industrial traffic from forklifts, pallet jacks and general harsh industrial conditions. 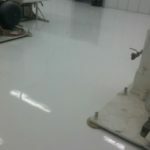 These polymer floor systems are ideally suited for all types of industries. 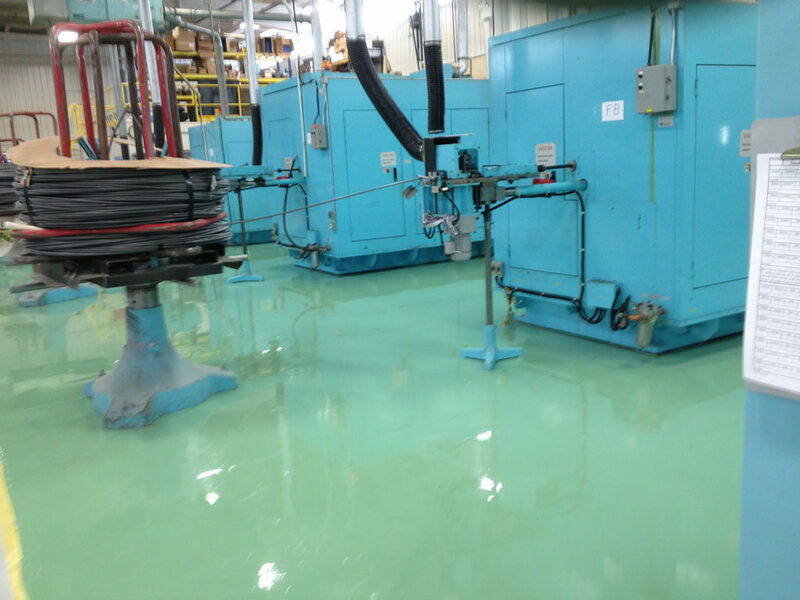 Northern’s Epoxy floor resurfacer “CT-700” provides an economical way to repair or protect large areas quickly with “ZERO” voc’s, making these systems able to be installed while the rest of the plant continues to work, with very little interruptions to your operations. 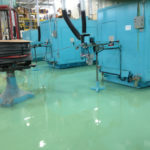 Northern’s unique formulation with its high liquid to aggregate ratio and our installation techniques combine to give you a superior polymer floor system. 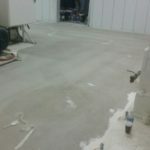 Producing a very dense surface that is extremely abrasion and impact resistant, impervious to chemical attack, and has a higher compressive, tensile, and flexural strengths than competing floors. A Northern coating is usually applied to the resurfacer to achieve the desired finish characteristics ranging from smooth to heavy non-skid. 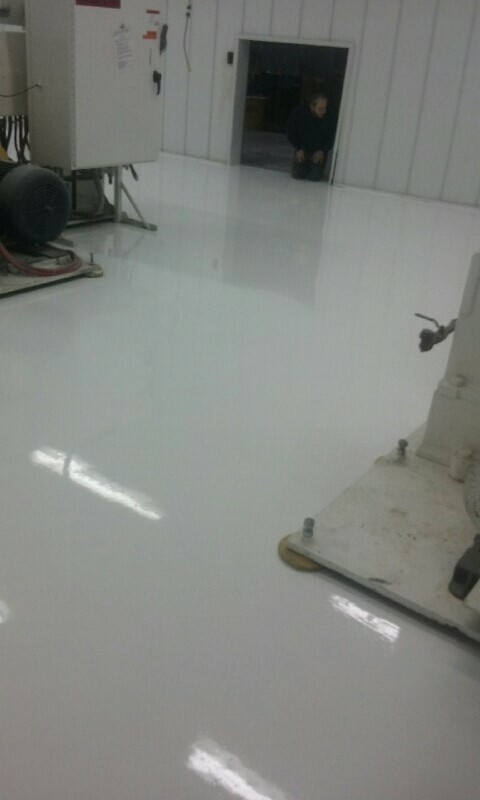 These coatings can also be used to increase the chemical resistance or to enhance the aesthetic quality of the floor. 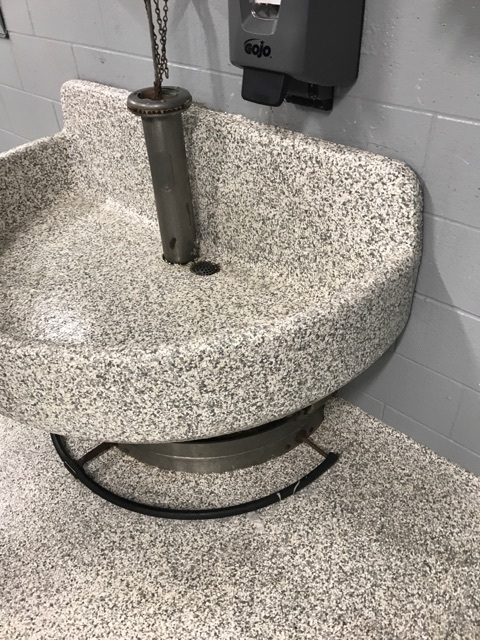 Don’t replace that old, eroded, oil damaged concrete, let Northern give you a new, stronger, better looking, chemical resistant floor with very little down time! 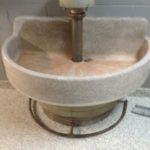 Ready to talk about your flooring needs?Give us a call!